In early 2018, the Regenerative Organic Alliance (a non-profit cohort of organizations and businesses led by Rodale Institute, Patagonia, and Dr. Bronner’s) began the process of developing Regenerative Organic Certification. ROC is a unique, high-bar agricultural standard that takes the foundation of USDA certified organic (or its international equivalent) and takes that foundation a step further. Learn more about Regenerative Organic Certification here. Recently, the Regenerative Organic Certification began its pilot process. 22 brands and farms will begin to implement the standards to test their feasibility on the ground. The pilot program will inform the creation of training materials, audit tools, guidance documents, and more with the intent to have certified products on shelves in 2019. Additionally, Elizabeth Whitlow has been appointed the executive director of the Regenerative Organic Alliance. Elizabeth has dedicated her career in regenerative agriculture to further the impact of high-bar certifications. In her most-recent role as EarthClaims’ director of certification, she oversaw a team working to provide private, third-party verification services for animal welfare, grass-fed claims, antibiotic-free and customized audits to support specific marketing claims. Prior to EarthClaims, Elizabeth was a fellow at the Leadership for a Sustainable Future. 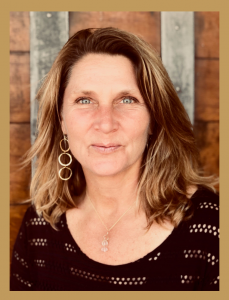 Elizabeth also spent 16 years with California Certified Organic Farmers in roles ranging from reviewer, senior inspector, and livestock specialist to inspection operations manager. Born and raised in north Georgia, Elizabeth received her BA in German from Georgia State University in Atlanta and her MA in environmental studies from The Evergreen State College in Olympia, Washington. She is a member of the Farmers Guild Advisory Board and the Sonoma County Food System Alliance Council. Elizabeth lives in Northern California where she grows food and community on her micro-farm.